Given that the supposed release date of DDR4, according to a pre-order listing which suggests it is almost three weeks away, DRAM module manufacturers are slowly initiating press releases to tie in with which products they will be releasing. This is good news for the rest of us, as we will get to see what timings and pricings to expect when the full release happens. Today it is ADATA launching some of its higher performance kits under the XPG Z1 branding. If you followed our Computex coverage, you will notice a striking similarity to the modules we saw on display at ADATA’s booth. 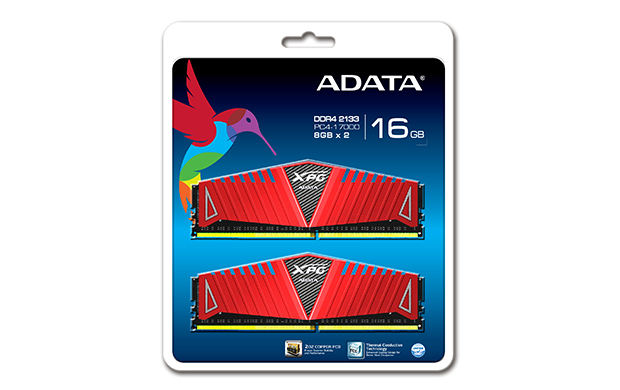 Aside from the regular quotes about reducing the voltage from DDR3’s 1.5 volts to 1.2 volts, ADATA is stating that its XPG Z1 range will offer speeds up to 2800 MHz with timings of CL 17-17-17, all within the 1.2 volts standard. 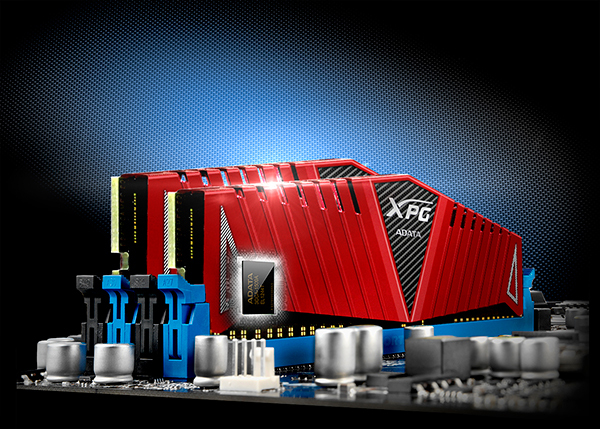 The press release would also seem to suggest that ADATA is equipping these modules with a plug and play system, by stating ‘the SPD of XPG Z1 allows direct application without changing settings in the BIOS’. I am going to follow up with ADATA to find out what they mean by this, whether it will be plug and play or they are just referring to JEDEC. The XPG Z1 design uses the angular heatsink tapering to a point, which underneath uses a 10-layer PCB with 2-oz copper layers. The heatsink is in direct contact with the ICs, and if the past serves me correctly this is mostly likely via an epoxy that is hard to remove. No pricing information as of yet, but given ADATA’s previous press releases, we usually get it around two weeks after the kit being announced. In photos from the gallery, the image displaying the back of the packaging declares that there's something that's "FREE", but I can't get the detail to resolve. Oh goodness ... whatever could it be??? "Register for ADATA warranty and download FREE software."